Hand Painted False Nails choose your colour! 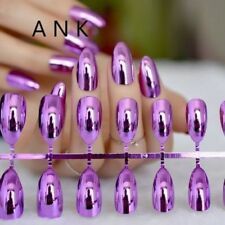 14 nails 7 sizes & Free Glue! Can be used to decorate and beautify your toe nails. Color: Silver (As pictures show). The real color of the item may be slightly different from the pictures shown on website caused by many factors such as brightness of your monitor and light brightness. Type:Fake Nails. Just take out the desired size and stick onto you nail with the glue provided. Material:Rhinestone Glue(2g). 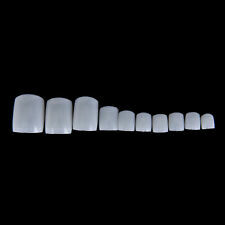 24 Pcs/Set x Foot Fake NailsWith Glue(2g). Perfect for easy & instant nail decoration. 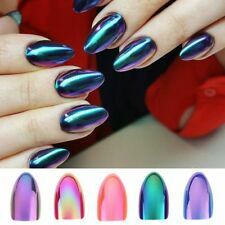 The false nails are with back glue sticker, you can stick them to your nails within 3 minutes. No need much work. This is a set of finished false nails, 24 pcs per set, with 11 different sizes to fit various finger nails. Suitable for nail extension with nail art decorations / nail gel / acrylic / etc. Can add nail art decorations on the nails and design your own style and pattern! 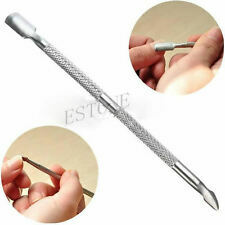 For your professional nail extension and French nail making.